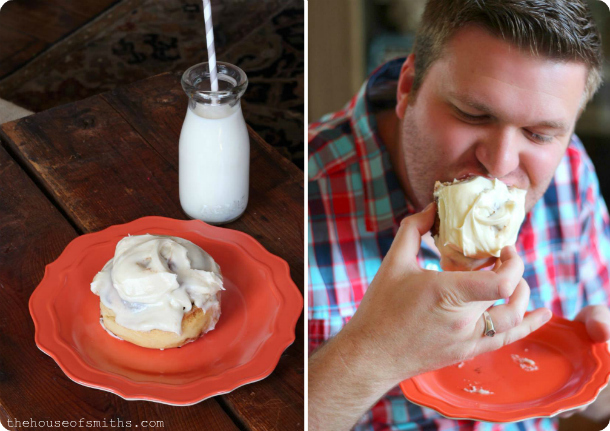 Yummiest Cinnamon Rolls with Cream Cheese Frosting! 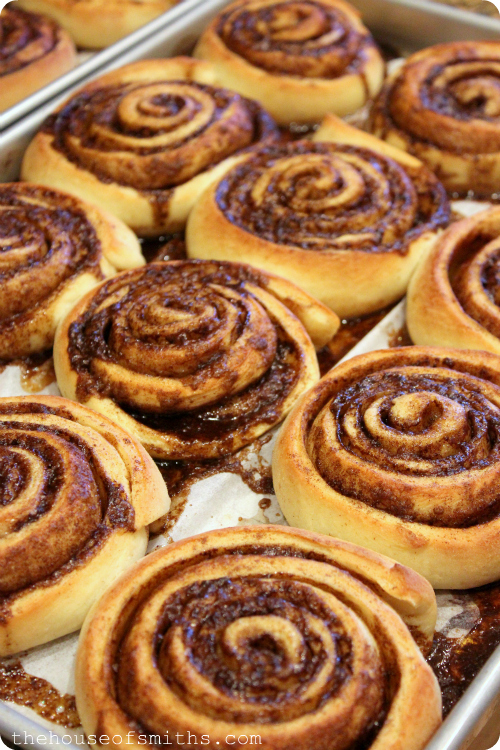 It's cold outside today, so guess who's making cinnamon rolls!!!? 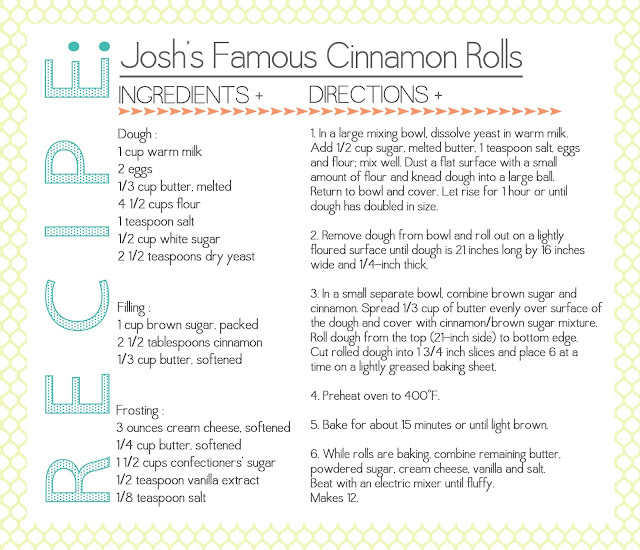 I had to revisit this recipe from our awesome friend Josh. 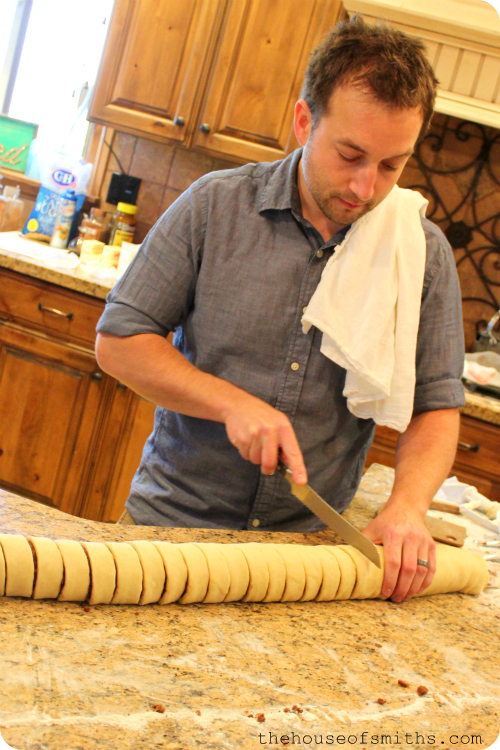 He's such a good baker. 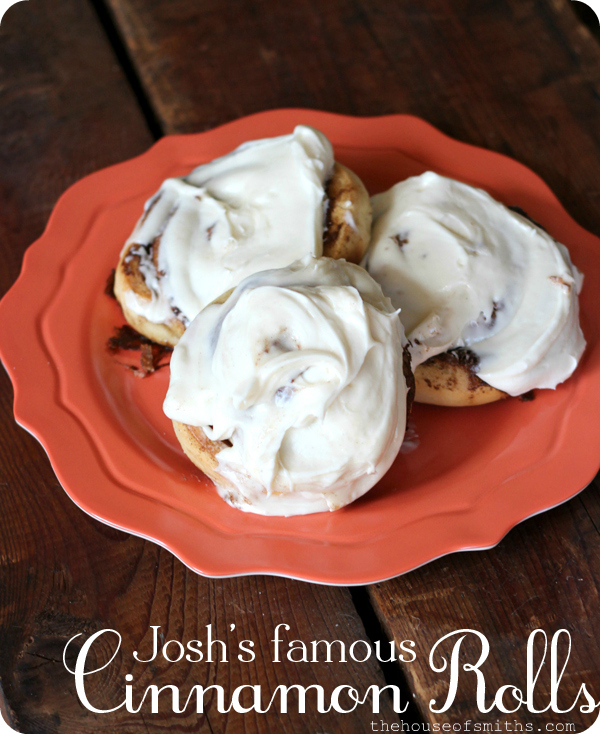 You will LOVE his yummy version of cinnamon rolls, you gotta try them! It was hard for me to catch each little step through pictures, but I managed to snag a few photos of Josh and Cason (his assistant) in action. ha! Because I missed a few steps during the process I wanted to try out the recipe for myself, so my Mom and I got together after Sunday dinner to whip up a batch of our own. The recipe is fail proof, but I thought I'd add in a few little tips and tricks that I learned along the way. 1. If possible, use the Lehi Roller Mill Unbleached Turkey Brand Flour from Costco. I don't know why, but it DOES make a difference. 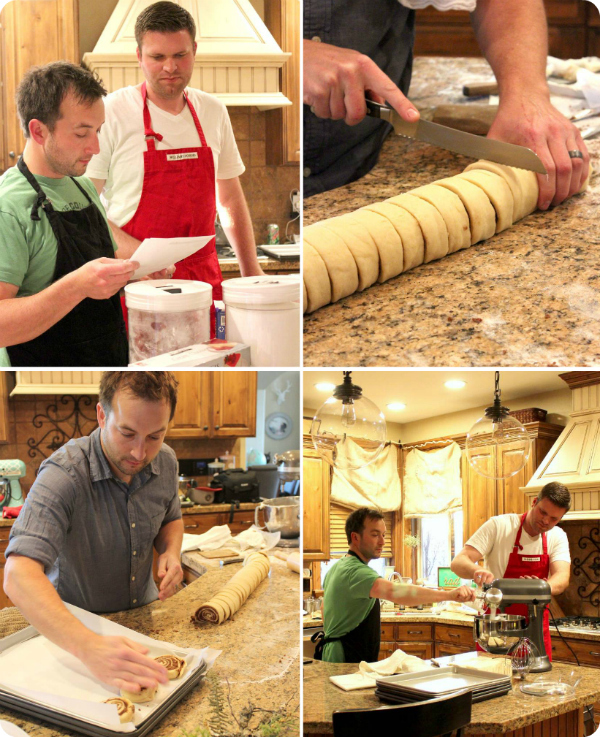 We used regular ol' flour and the cinnamon rolls STILL turned out really awesome, but they just seemed to have a heavier, bread-ier texture, compared to Josh's, that were light and cake-y. 2. 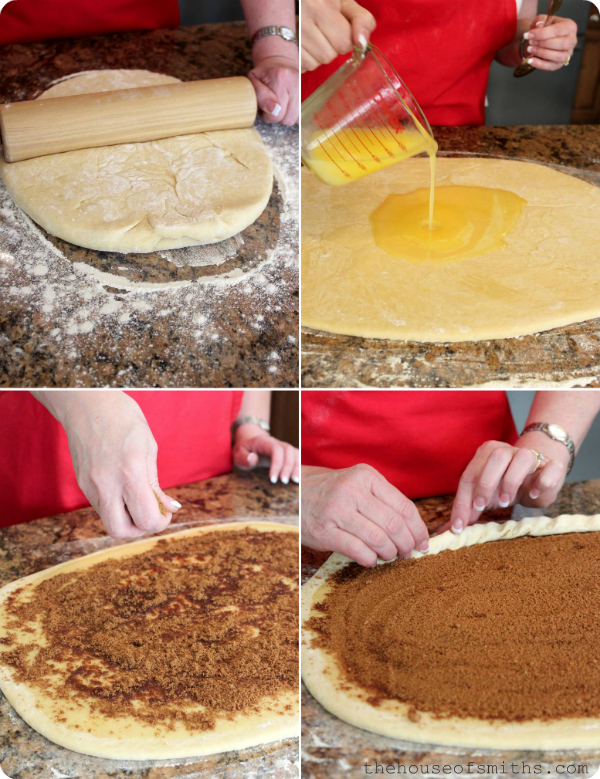 After you've mixed your dough and set it in a bowl to rise, keep it in a warm place and cover it with a tea towel or partially closed lid. 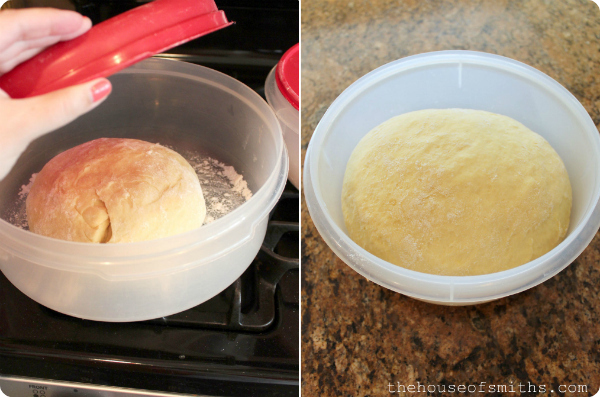 You DO NOT want to close your bowls lid completely, the dough needs a bit of air, you're really just keeping a little something over it so that the dough doesn't get dried out and form a crust on the top. 3. 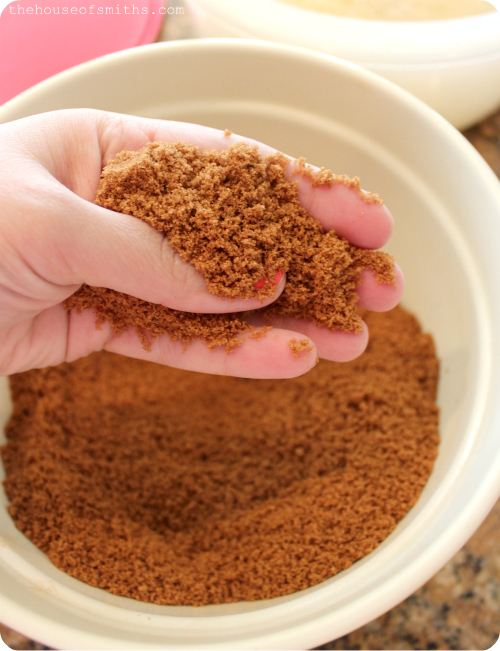 When mixing the brown sugar and cinnamon for your filling, sift it together if you have any hard pieces. We don't use a lot of brown sugar in our house (unless we're baking) so sometimes it can get a bit hard, even with a piece of bread in the jar to help keep it fresh. I think a lot of this has to do with where we live, but sifting the brown sugar helps to break up any rough bits. 4. If you remember from above, Josh had a very sharp serrated knife that he was using to cut his cinnamon roll loaf, and that works great! But if you don't have a really sharp knife on hand, I recommend dental floss. Yup, you read that right... flavorless dental floss! You just slide a piece underneath your loaf, bring the sides up, cross them and you're done! This is a trick my Mom taught me, so I thought I'd let her share it with all of you as well! 5. 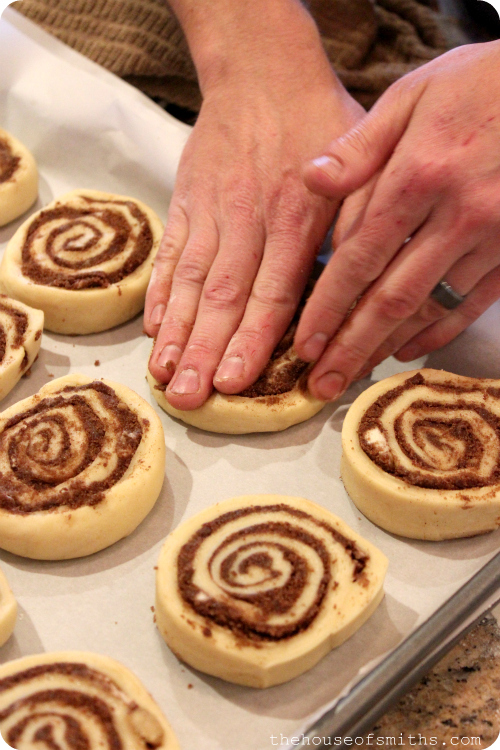 Make more frosting. I had to skimp on the second batch and my family was a little disappointed. I would just make DOUBLE what the recipe calls for, and if you have some left over then just pop it in the freezer. 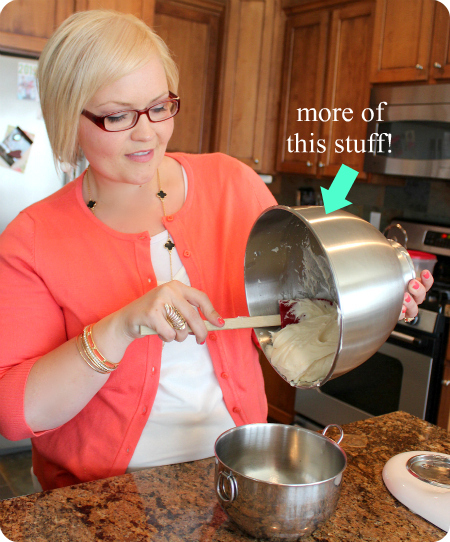 It keeps really nicely and when you need some awesome homemade cream cheese frosting for cupcakes or whatnot, it's ready to go! PS: This simple, quick frosting recipe is THE BEST I've had in a long time. I think it's the tiny bit of salt that makes the difference. 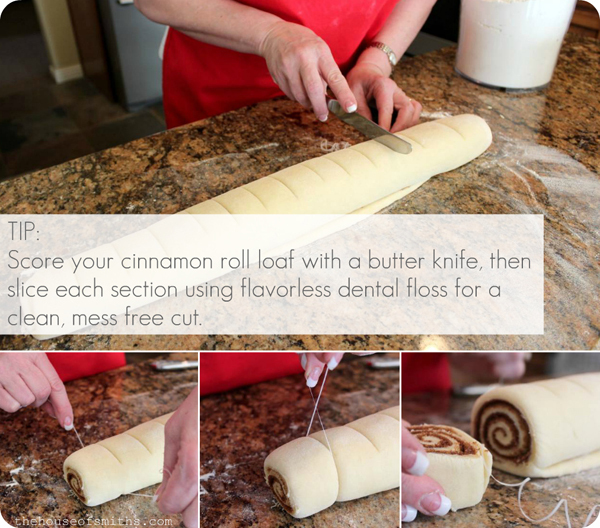 It just cuts out some of the overwhelming sweetness that frosting can sometimes have. Aaaand here's me trying to do a photoshoot with a fresh cinnamon roll, before it was snatched up by my guy. Yes. They are THAT good.